Andy Linden is a member of the Aperture Woolwich Photographic Society, he has lived in the local area all his life and been a photographer for 30 years. He is also a member of the Royal Photographic Society and gained the distinction of Licentiateship (LRPS) in 2009. 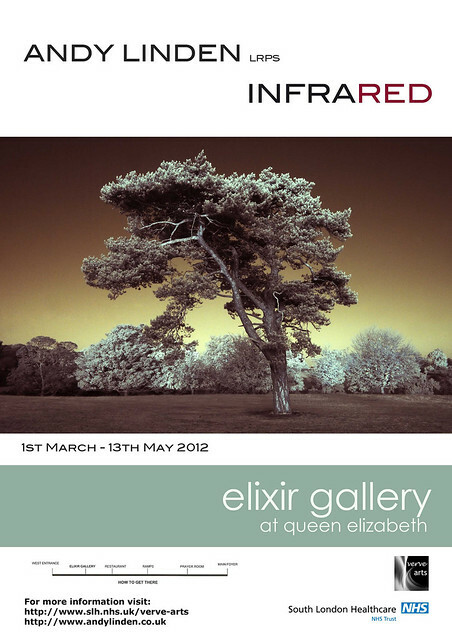 All the pictures in the exhibition were taken using an SLR digital camera that has been converted so that it is sensitive to the infrared (non-visible) part of the spectrum. Leaves and foliage strongly reflect infrared radiation, so they usually appear bright in an infrared photograph. The majority of these pictures were taken in and Greenwich Park and the surrounding areas. They have been post-processed in Photoshop to produce the tones that appear in the final prints. 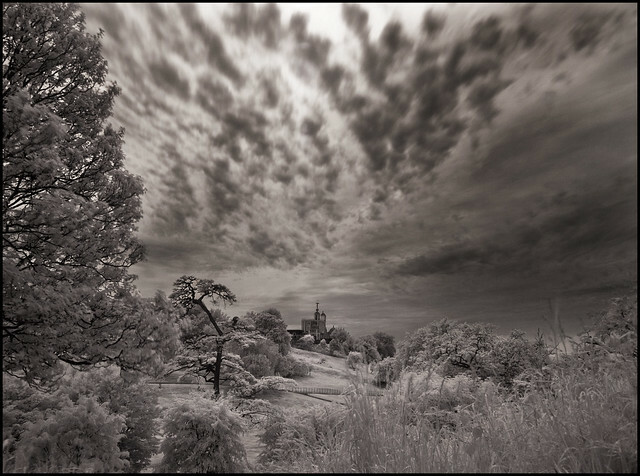 There are more infrared photographs by Andy Linden on his Flickr site. The exhibition is well worth a visit. It ‘s free and it runs until 13th May.